New releases of the combined patches for Klingon Academy are now available, these patches will hopefully provide a more streamlined experience of getting Klingon Academy up and running on modern operating systems. Thanks to Jiri Dvorak (Komat), without his work on the wrapper the game would not be playable today. Thanks also to Michael Groschupp (CISN_Destroyer) for providing the German translations for the new launcher. There was a bug in the initial release that caused the patch to fail during installation, the release has been refreshed and the issue is hopefully now corrected. Thanks to sean8711 for reporting the issue. After the combined patch is applied there are two new tabs in the settings dialog of the new launcher. When used this will automatically copy all Klingon Academy movies from the original CD media to the correct location on the users hard drive, this will remove the need to use the CD's when playing the single player campaign. The log viewer makes use of the d3demu.log file provided by Komat's wrapper, when opened via the launcher it displays information for the last game session only. The patch should now automatically detect your Klingon Academy installation directory whilst also providing the option to manually select a different directory if you have multiple installations. By default the patch will look for a registry key left by the original Interplay installer. Prior versions of the combined patch have been falsely flagged by various Antivirus products, with 1.02r5 I have attempted to reduce this problem but only time will tell how successful it is. At the moment it has a relatively clean report, VirusTotal report results for the package and its components are available here. VirusTotal is not a real world environment so if you have had issues with prior versions of the patch being flagged by your Antivirus product I would be interested in any feedback on how 1.02r5 performs. 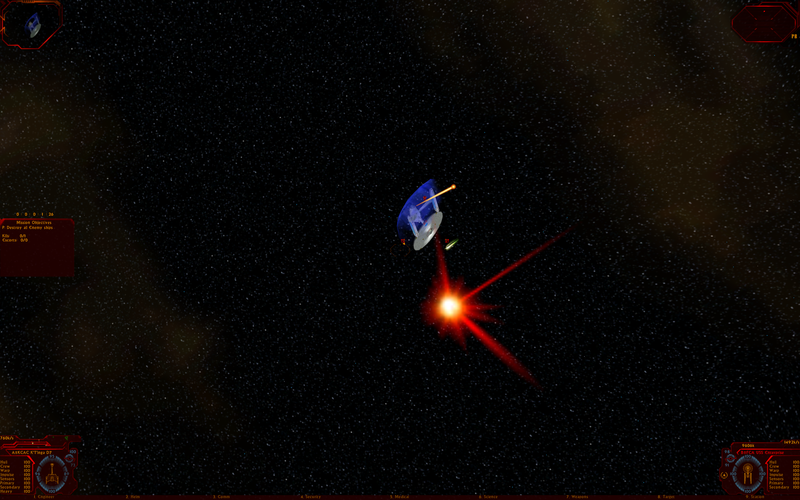 There was a minor error in the debriefing cutscene selection after mission 9 was completed. 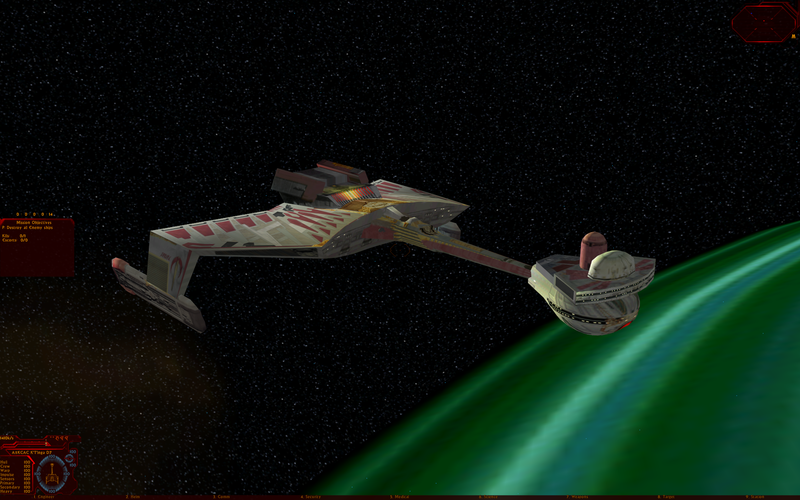 Klingon Academy Combined Patch 1.02r5 (UK & US), download here. 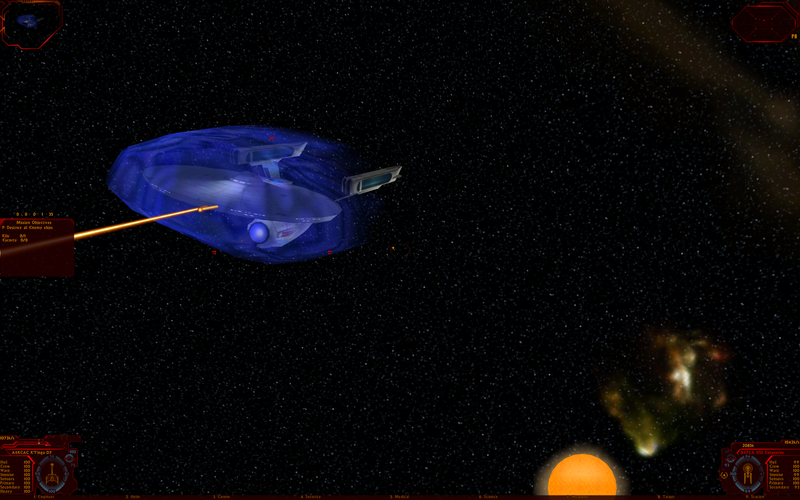 Klingon Academy Combined Patch 1.02r5 (German), download here. I would appreciate it if any anti-virus false positives, bug reports or feedback could be posted in the comments thread of this news post. Keep on eye on the thread for updates. Updated test releases of a combined patch for Klingon Academy is now available here, these will hopefully provide a more streamlined experience of getting Klingon Academy up and running on modern operating systems. 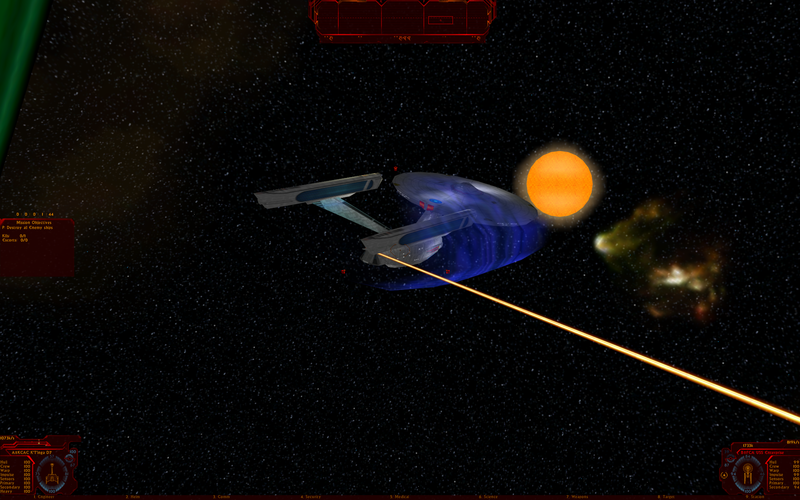 This is the first release available for the German version of Klingon Academy. Extract the downloaded zip file and run the extracted Klingon_Academy_1.02.r3_US_UK.exe / Klingon_Academy_1.02.r3_DE.exe. Please note, if you have installed Klingon Academy outside of the default installation directory you will need to select the correct directory when applying the patch. - The settings page can be very, very, very slow to load. - Theme music does not play if the 1.02r3 patch has been applied when 1.02r1 or 1.02r2 was previously installed. Both issues have been corrected and an updated release will be available on Wednesday 19th September 2018. 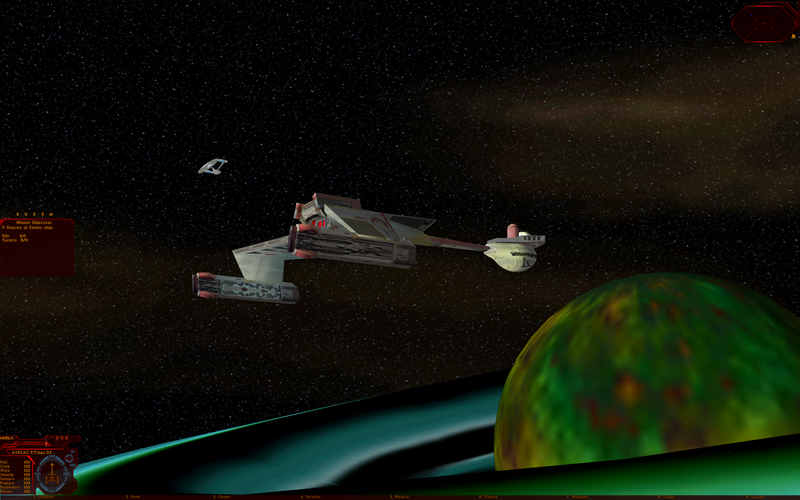 A test release of a combined patch for Klingon Academy is now available here, this will hopefully provide a more streamlined experience of getting Klingon Academy up and running on modern operating systems. I have tested this on Windows 7 x86 and Windows 10 x86 & x64 but unfortunately I have not been able to test on Windows 7 x64 or any version of Windows 8.x. Update: Please see this post for details on antivirus false positives. New user registrations are now enabled. E-mail verification using a valid e-mail address is required to activate new accounts, if your activation e-mail does not arrive please check your spam folder and if you encounter any problems please feel free to Contact me. The main antispam precaution on the forum was reCAPTCHA v1, this became mostly ineffective in early 2017 so an additional spam check was added in the background that checked new registration attempts against a known spammer database. Unfortunately this combination also eventually ended in failure and registration was disabled. reCAPTCHA v1 became depreciated and was fully deactivated by Google in March 2018, this week I have installed a modification to replace it with the I'm not a robot test - reCAPTCHA v2. I have also been made aware of some difficulty in contacting me, this has now hopefully been resolved and the Contact page should now be working as normal. I've tracked down my old site backups and will be starting to populate the downloads..... if I don't get it done in time for the 20th Anniversary of the games release then someone can throw something heavy at me but the plan is to get it done in the next few weeks. There seems to be a small problem with forum spam at the moment, as a result I have disabled registration while I check on the countermeasures that normally keep a lid in this. The Space Game Junkie Podcast talk about Klingon Academy with Brent Kollmansberger! On this episode of the podcast, we sit down with Brent Kollmansberger, one of the designers who worked on one of my all-time favorite games, Star Trek: Klingon Academy. 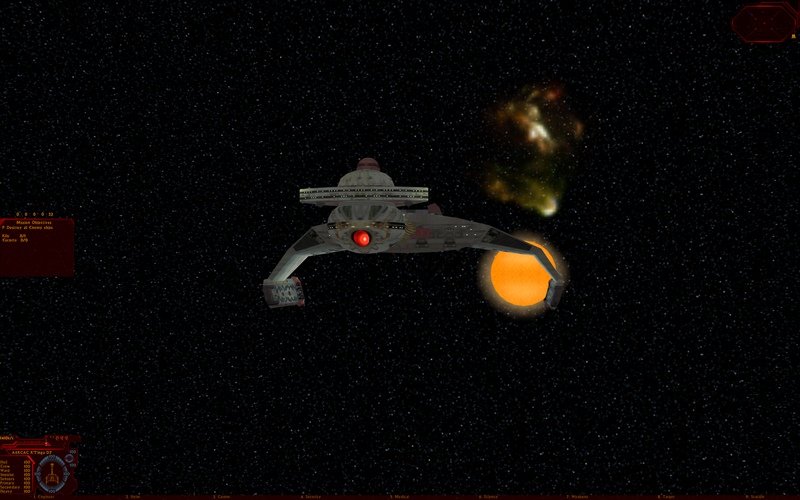 It's been a while since I sat down and tried to play Klingon Academy but today I gave it a quick go on the latest version of Windows, I'm pleased to say it worked perfectly with the patches released by Komat. 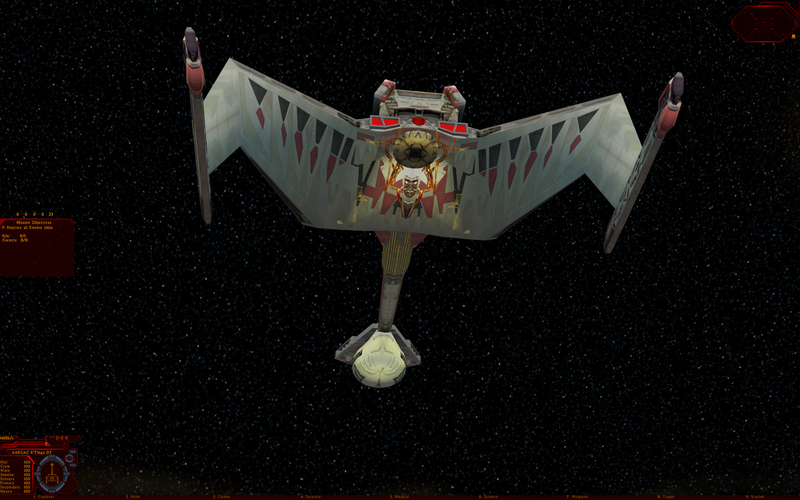 The screenshots below were taken on Windows 10 - 64-Bit, they show the K'Tinga D7 mod by ~«Möôñråkêr»~ going up against the standard Constitution that shipped with the game. The patches by Komat fix numerous issues with running Klingon Academy on modern hardware and operating systems, full details are available at his website here. A site update is in progress at the moment, if you spot any problems please send me a PM and I will do my best to fix them. User registration is open again however for the time being I will manually review and activate accounts as they are created just until I get an idea of how bad the potential spam/bot problem is.